President Donald Trump may insist his tweets are a way to get his "honest and unfiltered message out," but a majority of voting Americans – including Trump's supporters – say he should spend less time on Twitter. According to a new Morning Consult poll released Wednesday, more than two-thirds of voters – 69 percent – say Trump uses Twitter too much, compared to just 15 percent who say he uses it "about the right amount" and only 4 percent who say he should tweet more. 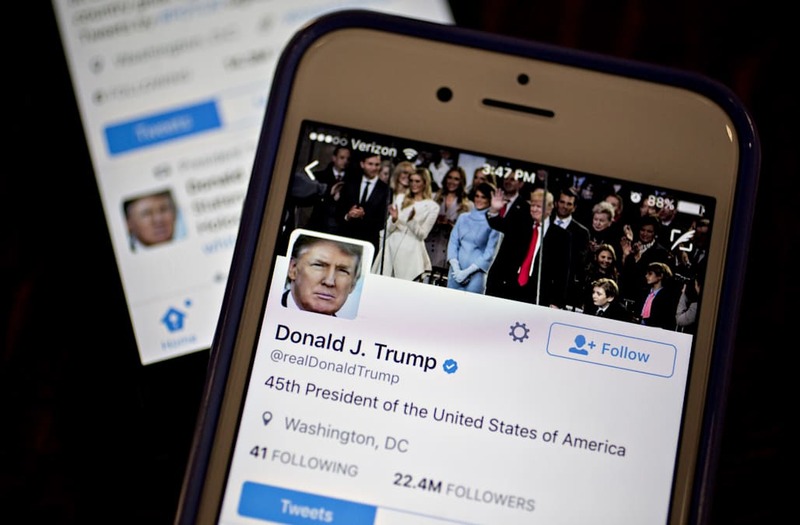 Even among Republicans, 53 percent say he uses the social media platform too much, compared to about 30 percent who say he should keep his Tweeting about the same. Slightly more Republican voters – 41 percent – think his Tweeting is a good thing, while 37 percent view it as bad. Fifty-nine percent of all voters say his tweeting is "a bad thing," compared to just 23 percent who see his use of Twitter as positive, with a majority viewing the brief, seemingly unfiltered messages the president sends out on social media most days as having a negative impact on the government and the country. More than half, or 51 percent, say Trump's tweeting hurts national security, and 53 percent say it harms America's standing in the world, compared to 13 percent and 15 percent, respectively, who say it helps on those matters. Moreover, 57 percent think his tweets cause damage to his own presidency, while a plurality – 35 percent – say he is helping Democrats win re-election next year and 48 percent think he is hurting Congressional Republicans who are running for re-election in 2018. The poll's results contradict Trump and the White House's view of his tweets. On Tuesday the president railed against the "FAKE MSM," accusing the mainstream media of trying to push him to stop tweeting. At a briefing with the press Tuesday, White House press secretary Sean Spicer said the president's tweets should be taken as official White House statements, contradicting other administration aides who earlier in the day had tried to downplay their significance. "The president is the president of the United States so they're considered official statements by the president of the United States," Spicer said. "The president is the most effective messenger on his agenda, and I think his use of social media ... give him an opportunity to speak directly to the American people, which has proved to be a very effective tool," he said. "The same people who are critiquing his use of it now critiqued it during the election, and it turned out pretty well for him then."